President Rouhani’s Chief of Staff has welcomed expansion of economic and banking ties with Switzerland, saying that Swiss banks can play a positive role in Iran’s bank transactions and economic activities. Iran is prepared for “win-win” economic ties with other countries, says the chief of staff of President Hassan Rouhani. 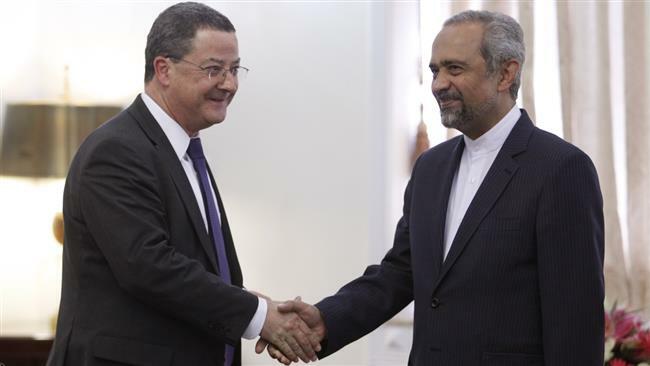 Mohammad Nahavandian made the remarks at a meeting with Yves Rossier, the state secretary at the Swiss Federal Department of Foreign Affairs in Tehran on Wednesday. “At present, a lot of the Western countries have come to the conclusion that the artificial (and) unnecessary crisis of Iran’s nuclear program is a big obstacle for their benefit from the Islamic Republic of Iran’s high economic capacity,” Nahavandian said. He further noted the “cruel sanctions regime” against Tehran led to the “loss of financial transparency” in business transactions with Iran. On July 14, Tehran and P5+1 – the US, Britain, Russia, China, France, and Germany – reached a nuclear agreement in Vienna after months of tough negotiations on Iran’s nuclear program. As a first step in the removal of the anti-Iran sanctions, the UN Security Council unanimously endorsed a draft resolution on Monday, backing the landmark agreement, dubbed the Joint Comprehensive Plan of Action (JCPOA). Rossier, for his part, welcomed a boost in cooperation between the two countries.